Are you faced with the crippling costs of nursing home care? The average cost in the United States for a private room in a nursing home is $229 per day or $6,965 per month, according to the US Department of Health and Human Services. That's $83,580 per year. At these prices, it's no wonder that many families find their savings drained within the first year. Did you know that Medicare will not pay for long-term care, but the government Medicaid program will? Medicaid will cover nursing home costs, but the problem is that in order to qualify for Medicaid assistance for long-term care you must meet strict financial requirements. For example, a single applicant in Virginia may be required to "spend down" their savings until less than $2,000 remains. They may even be forced to sell their home. But that doesn't mean you have to lose everything before you can qualify for Medicaid assistance. If you or a loved one are faced with the immediate need for nursing home care, we in the legal field call this a Medicaid crisis. 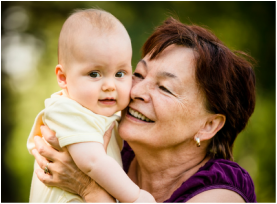 With the help of an experienced elder law attorney, you may be able to save your hard-earned savings while still qualifying for Medicaid. Before you fill out any paper work, we strongly encourage you to speak with a qualified elder law attorney to make sure you get the best possible outcome. Contact us for a free consultation for inquiries within the state of Virginia. Make sure they inherit more than just your eye color. Nearly 7 out of 10 people turning age 65 will need long-term care at some point in their lives. Help safeguard your family's inheritance. 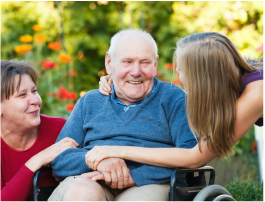 Advance planning is the best way to ensure the safety of your property and life savings in the event that you find yourself in need of nursing home care at some point in the future. Or the spouse of a veteran? If so, you may qualify for a special type of assistance. 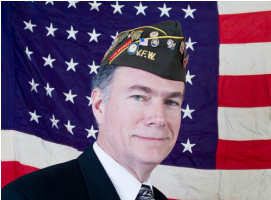 We offer a free evaluation to veterans who are over 65 or disabled to determine eligibility for a special pension that can provide up to $2,120 per month in direct payment to qualified veterans and their surviving spouses. When it comes to paying for nursing home care, most people don't know that Medicaid planning is an option. Unfortunately, most people end up paying for long-term care out of their savings, finally qualifying for Medicaid once their money runs out. However, with the proper Medicaid planning, we can help protect your savings while still qualifying for Medicaid assistance.